Bluetooth headphones first hit the market in the early 2000s. In the early days, the technology to produce them on a large scale wasn’t available. So, these Bluetooth units were extremely expensive and were out of range for most people. Just like most products in early development, the quality wasn’t that good. The audio wasn’t clear and the connection wasn’t strong. However, with time and the advent of technology, Bluetooth headphones these days are fantastic and highly affordable. In fact, you’re spoiled for choice. So, we’ve undertaken the Herculean task of sorting the wheat from the chaff and shortlisted the best Bluetooth headphones that you can find in 2016. Before we actually dive in and look at the headphones in greater detail, we’ll look at some pointers that will help you decide if a set of Bluetooth headphones is worth buying. P.S. In this article, we’re only looking at on-ear and over-ear headphones only. If you prefer earbuds – do check out the Best Bluetooth Earbuds article. There are also specific reviews for the Best Bluetooth Headsets and the Best Bluetooth Headphones for Running. Easy to use. Bluetooth headphones can be easily paired with most devices that are Bluetooth-enabled. You just need to pair the devices and that’s it. These days, most devices are manufactured with Bluetooth compatibility. So, you can cast your worries aside. No matter which device you’re using, the pairing process is usually the same. Once done, the devices will automatically pair in future without any effort from you. Most devices will alert you when they’re in close proximity to each other. Isn’t that cool? Mobility. Bluetooth headphones are easy to transport. There are no wires that need to be attached. You can use a Bluetooth device on the go. Since there are no cords or wires, there are no tangled wires to worry about. They barely take up space and most are collapsible and can be stored with ease. Another added benefit is that you can charge the source device while using the Bluetooth headphones. For example, if you’re listening to music on your Bluetooth headphones that are paired with your mobile phone, you can still charge your mobile phone while listening to the music. Versatile. You can use them with TVs, computers, mp3 players, etc. As long as they device is Bluetooth enabled, you can use it without worrying about adaptors. This feature brings much convenience. You can go from using it to listen to music while on the subway and once you get home, switch to watching TV with it. Technology is wonderful. Selecting What’s Important. You should know your preferences and what you’ll be using the headphones for. If you plan on using them in the office, noise-cancellation technology will help. If you want to go running with them, sweat and moisture-resistance will be essential. You may also wish to get a pair that gives you an option for a hardwired connection and there is always the option of getting extras such as quick-chargers or earpads. Style. Since wireless headphones come in a wide variety of styles, you should pick one that appeals to you. Some look stylish, some look functional, some look like they’re made for a young, hip crowd, etc. Pick one that gels with your personal style. If you like bass music, pick closed-back styled headphones. If you like a larger soundscape, the open-back style may suit you better even though there’ll be some sound leakage. If you prefer earbud styles, do check out our article Best Bluetooth Earbuds. Sound Clarity. Just because a headphone is wireless doesn’t mean that it should compromise on sound quality. Many people falsely assume that wireless devices have poorer sound quality. This is not true. Find a wireless headphone that has good connectivity and excellent audio. There are many good models out there. An industry leader, Bose, stands head and shoulders above the rest because their products are aesthetically pleasing and the engineering is beyond excellent. The Bose SoundLink is without a doubt, the best wireless headphones on the market and testament to the brilliance of the Bose brand. When testing this product, we found that not only was it robust but it was also light and extremely comfortable to the user. Even athletes can use these headphones because they’re that durable and versatile. The frame of the SoundLink is firm and yet the headband is fully adjustable to fit most head sizes. The earcups are comfortable and since they can pivot and rotate, they’ll fit like a glove even if you wear glasses. Padded with memory foam, the earcups will be very comfy when listening to music for extended periods of time. It doesn’t matter if you use these headphones to watch movies, listen to audiobooks or music. The construction allows for it to be secure and comfy. You’ll forget that you’re wearing these. There is a padded carrying case so that you can safely carry around your SoundLink headphones wherever you go. We tested out phone calls using the Bose microphone. The dual microphone cancels out ambient noise but keeps your voice clear. The person on the other end could not tell that we were using a wireless unit. The clarity is amazing. One charge will get you about 15 hours of use. So, you’ll be able to use the headphones for a few days before you charge it again. If you want to connect the headphones to a device to save on battery power, Bose provides you a cable to do just that. This is flexibility at its finest. Bose has been very thoughtful and has included features that will make life much easier for you. There are voice prompts that will inform you about your connection status, identify callers and even tell you how much battery life the unit has. Whenever you turn on the headphones, it will automatically connect to the device that it stored in its memory. The sound experience with these headphones is out of this world. 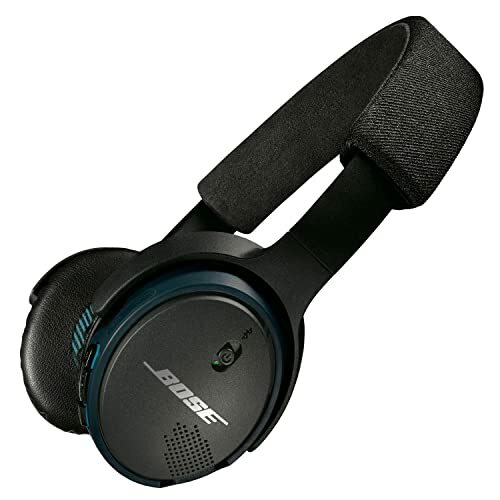 Just like all Bose products, you can expect awesome sound reproduction and detail. The sounds are well balanced and warm. When you’re watching movies or listening to music with these headphones, you will be immersed in a whole new world. 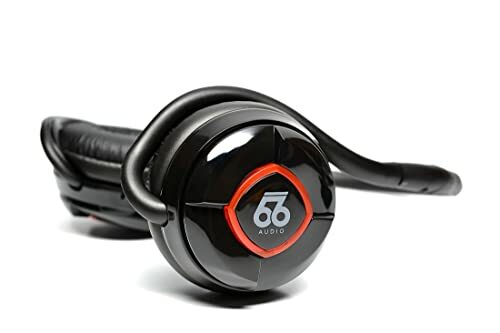 These headphones are comfortable, durable, convenient and most importantly, the sound is great. An excellent investment. Oh no! Beats?!! You gotta be kidding me. This is one brand that is extremely controversial. People either love it or hate it. 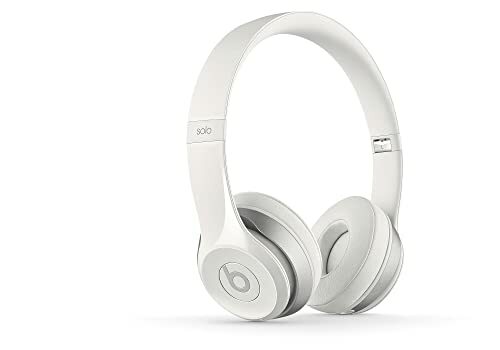 The interesting thing about Beats is that it took into account all the complaints it received and made many improvements to their line of products. The sales stats don’t lie… and Beats headphones are selling very well these days. The Solo 2 is a tough, sturdy model with strong hinges. It feels a little large but is comfortable to wear and can be easily folded and carried around. The earcups pivot too and the headband is flexible. These headphones will fit most people very comfortably. The screws are not even visible and the design is sleek. One downside is that the control buttons are not labeled. So, it will take you some time to get used to it, but once you do, it will be easy to use. The headphones have a range of up to 30 feet and the accuracy is high. However, if there are thick walls or large electronics objects blocking the way, the connections may occasionally suffer. However, the unit often reconnects on its own to keep the connection going. An interesting feature on the Solo 2 is the air vents that you can find on the housing. Most people assume that these will affect the sound quality. This is a false assumption. The reason the air vents are there is so that there is air flow around the battery to keep it cool. This is very important because an overheated battery can be a cause for concern. The holes keep air circulating and the unit functions optimally. The soundstage produced by these headphones are tight and strong with a wide range. The sound is clear and balanced. It does have a strong bass but this is a Beats trademark. Nevertheless, it doesn’t overdo the bass or drown out the vocals or other tones. The Solo 2 is just as clear when used in wireless mode as when used in wired mode. If you like your headphones to look cool and you prefer a sound that is deep and focused more on the instruments than the vocals, the Beats Solo 2 is ideal for you. One of the most popular headphones on the market, when it comes to sports functionality, nothing beats the 66 Audio BTS+. Now let’s look at their performance when not used during training. The frame is light and yet, it’s strong. It has a bulky appearance but when you wear it, it feels comfortable. The headband is adjustable and sits behind your neck. What makes the earcup look big are the control buttons situated on the earcup. They’re easy to use and just by controlling the buttons, you can switch music tracks, answer calls and adjust the volume settings. The sound reproduction is clear and balanced with a smooth bass, crisp and accurate treble and strong mids. The noise-cancellation feature is excellent for blocking out ambient noise but doesn’t affect the sound quality of the music or audio that you’re listening to. Overall, these headphones can be used for any activity. It‘s very user-friendly, easy to use and has great sound. Definitely a good investment if you’re looking for a solid pair of Bluetooth headphones. One of the more trendy and stylish brands, SkullCandy meshes style with functionality. It has a wide range of products that come in many different colors and styles. It doesn’t matter if you’re a businessman trying to look professional or a teenage girl who likes the color hot pink, SkullCandy has a style for you. The Hesh 2 is a reliable pair of headphones with great sound quality. The leather earpads are comfortable and yet sturdy enough to be durable. There are over 20 styles just for this closed-back model. So, you’re spoiled for choice. It comes with all the usual functions you’d expect from a Bluetooth headphone. You can toggle between phone calls and music very smoothly. We noticed that the bass was a little on the heavy side but overall, the sound is balanced. There is no difference in sound quality when used wired or wireless. This is a sign of a goon Bluetooth headphone. However, when you use the Bluetooth function, the volume is a little lower than when it is wired. Not a big difference… but we picked up on it. 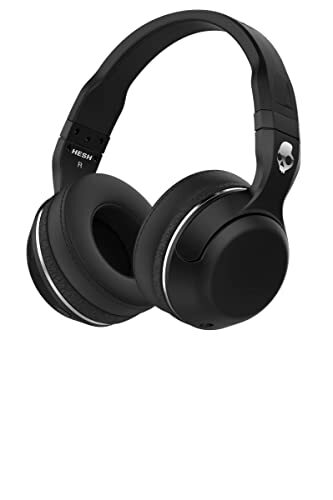 If you’re all about style and being trendy, the SkullCandy’s Hesh 2 is the perfect phone for you. There are many customization options, it’s cheaper than the Beats model and it also has great sound. We’ll end off this list with the Sony MDR1ABT/S. The moment you hear the name Sony, you know that it stands for quality. As usual, this model lives up to the Sony name and is one of the best Bluetooth headphones on the market right now. The earpads are made with urethane and are a good fit. There is comfort and while the unit fits securely, there is no pressure and you can move your head easily without worry. The headphones are equipped with on-board controls. What’s unique about this model is that it has a touch sensor that gives it a very futuristic feel. There are no buttons to fiddle with. All you do is tap or swipe on your earcup to manage the different functions. One charge gets you 30 hours of usage and it can be used wired or wireless. These headphones have huge drivers but yet, the sound is balanced and the bass is just nice to accentuate the audio without drowning it. While these headphones are slightly more expensive, you get a ton of extra features and it looks really good and sounds fantastic. If you like being up to date with the latest in technology, these headphones are made for you.